I’ve lost count of the number of hotels on Tenerife we’ve stayed in over the last few years. These range from the latest and most lavish luxury hotels to booking into budget hotels in the fishermen’s district of Puerto de la Cruz, so we could stumble from the New Year party in Plaza del Charco straight into bed in minutes rather than have to make our way home. What’s surprising is the sheer diversity of different types of hotels you can find on the island. Clearly there are plenty of those cereal box-shaped hotels from the 80s which feature the same banal interchangeable ingredients, but we generally steer clear of those. Most of the Tenerife hotels we’ve stayed in have exuded an individualistic personality that make them stand out from the crowd. 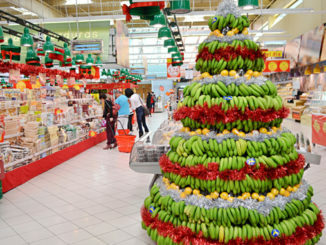 Some more so than others, featuring unusual quirks that either made us smile or which fascinated. 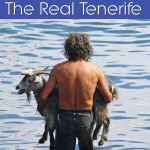 These are 10 of our favourite Tenerife hotel quirks. Not only is it a Mayan pyramid, it’s a Mayan pyramid with a Catholic church on top… seriously. They even hold weddings there. 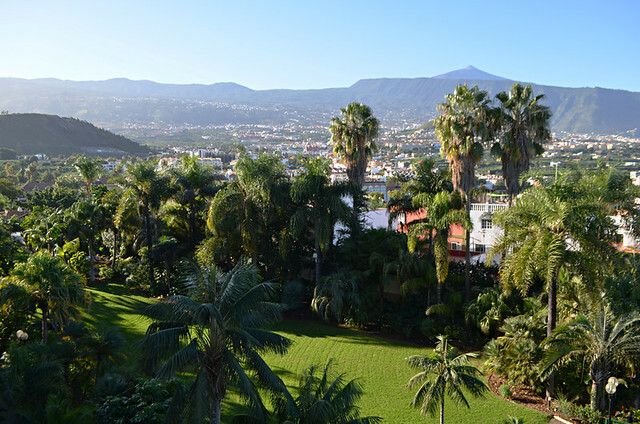 The pyramid might be the bonkers quirky highlight, but the Villa Cortes in Las Américas is my number one Tenerife hotel for all round oddities; from Frida Kahlo prints on lift doors to elegantly dressed skeletons in the grounds. A mad, Mexican themed delight of a hotel. The Hotel Rural Finca Salamanca, to give it it’s full title, in Güímar is another hotel full of fascinating artifacts, albeit on a smaller scale. It also boasts extensive gardens which are worth a visit in themselves. 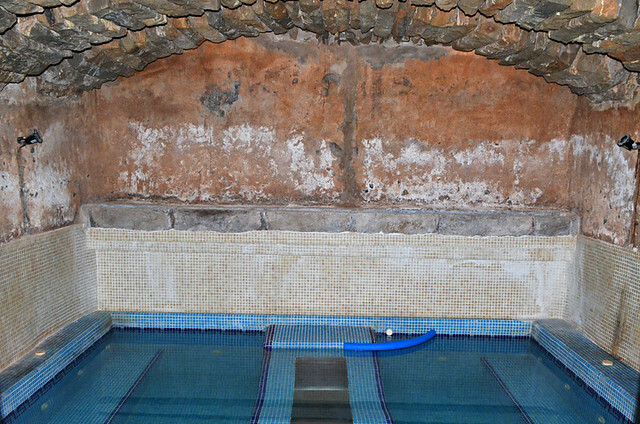 The most bizarre feature though is a cave disco, used by locals for weddings, birthdays etc. 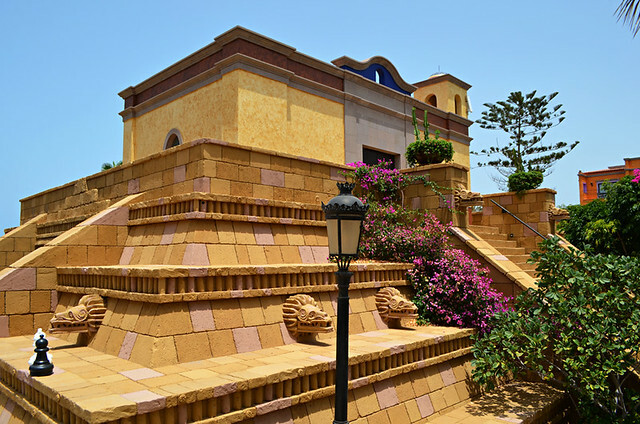 The design of the Bahia del Duque, part Disney fairy tale and part mock Canarian town, reminds me of one of those themed Las Vegas hotels. 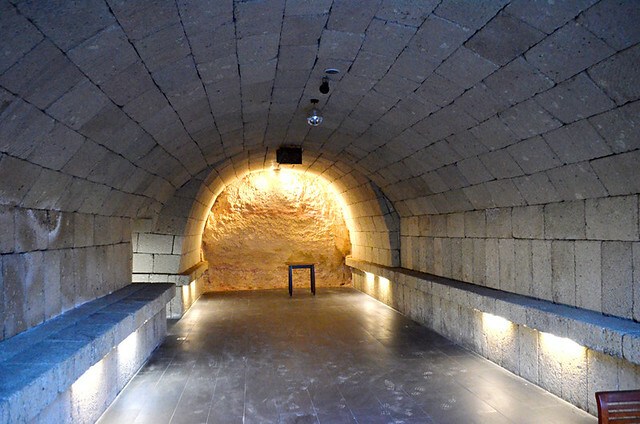 Some aspects of the hotel are based on actual buildings found in the island’s historic towns. There’s even a mini observatory in the grounds. 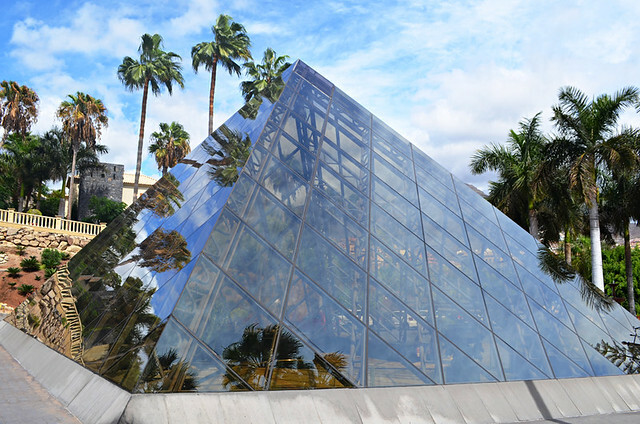 Possibly the oddest feature is the Louvre-like glass pyramid which greets visitors as they arrive. The Hard Rock Hotel is rammed full of amusing little touches, free plectrum for an air guitar, as well as rock star memorabilia. There are outfits belonging to the likes of Elton John, Lady Gaga, Beyonce, Prince, Amy Winehouse and Tina Turner. It’s diverting fun to see if you can track down items belonging to favourite artists. Despite being an old school family run hotel with a style which harks back to the days of the Hotel Taoro across the park, the Tigaiga is also bang up to date. It’s known for having wonderful, sub-tropical gardens and there are regular tours around the grounds. But a unique and neat touch is that plants are recorded in a digital library. As you wander you can look up blooms which catch your eye to find out exactly what they are. Seeing hotel rooms with balconies overlooking a lake is an oddity in itself on an island with no lakes. Throw in a few canoes and it’s even more bizarre. But that’s what you get at the Hotel San Blas between Golf del Sur and Los Abrigos. 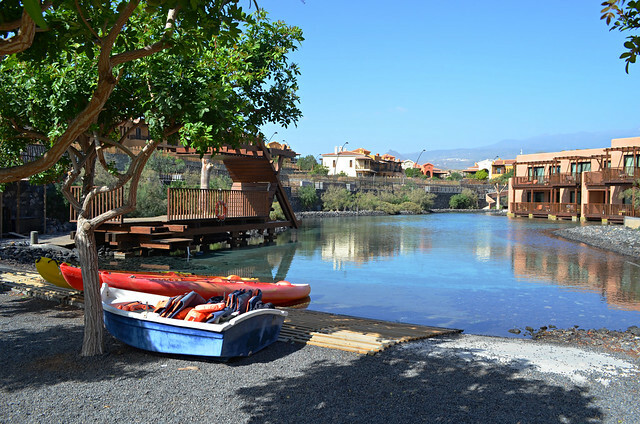 Tenerife’s rural hotels are good hunting grounds for unique features, the Hotel Rural San Miguel is no exception. Apart from being able to stay in room which was once a hen house or a corral for goats, there’s also a rather gorgeous little steamy thermal bath inside a cave. You don’t get that in your average resort 4 star hotel. Although the Casa del Patio hotel building itself is relatively new, the ‘outhouses’ date back to a time when there were competitions to see who could throw spears over the neighbouring church roof. 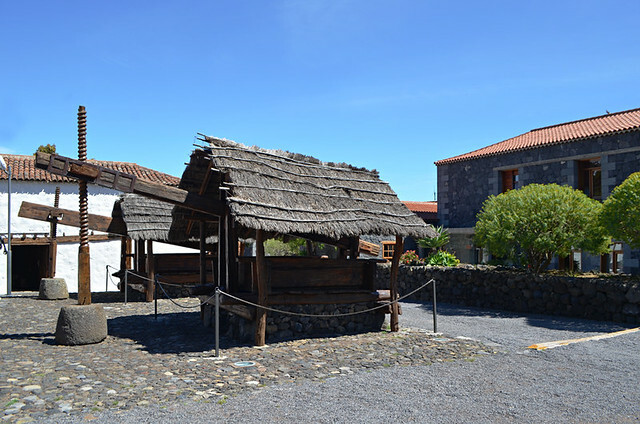 The buildings are an appealing example of traditional rural architecture with a standout feature being two huge lagars, wooden wine presses. We have actually seen lagars like these in action on La Palma and tasted sweet juice from freshly pressed grapes during the vendimia (grape harvest). We love the overall style of the Hacienda del Norte, a newish hotel with a distinctly traditional heart and soul. It was a close call to pick a favourite quirk. 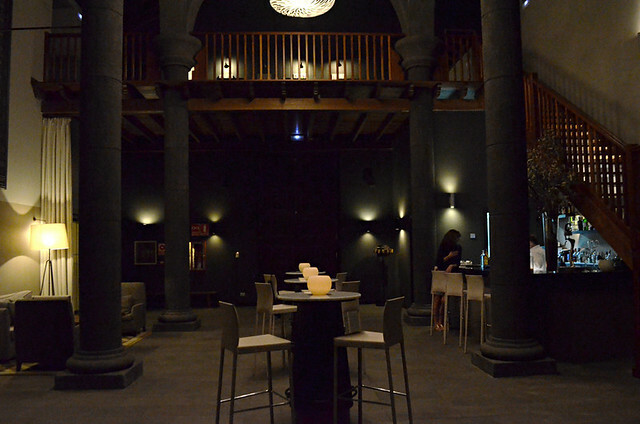 The hotel’s infinity pool set into the rocks on the coast came in close runner up to what we think is the best looking bar we’ve seen anywhere on Tenerife, the Hacienda’s cocktail bar set inside a mock church; I’ll happily worship there anytime. 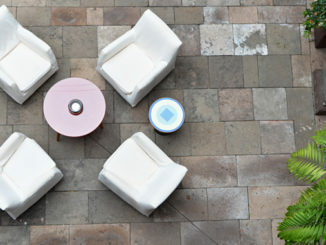 Even if it didn’t have furniture designed by famous Glasgow artist/architect Charles Rennie Mackintosh the stylish Hotel San Roque, a hotel truly deserving of the boutique tag, in Garachico would still be our favourite hotel on Tenerife. But it does, which is an arty bonus. 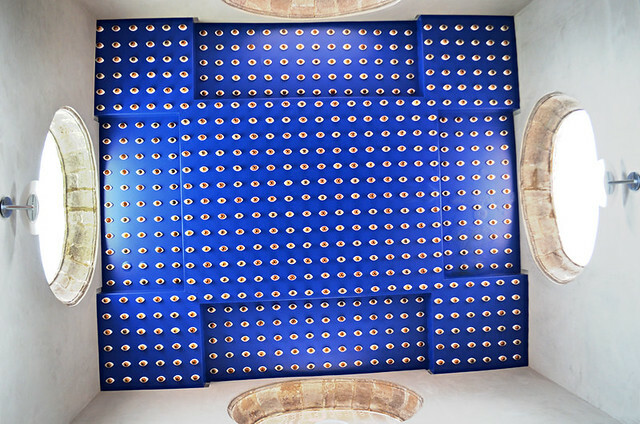 It also has a ceiling on a stairwell which looks as though it consists of hundreds of eyes. 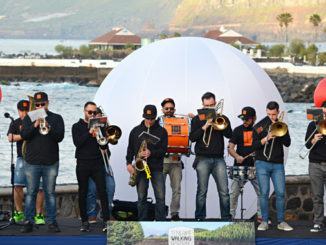 What is bruma in Tenerife and the Canary Islands?